If there's one issue with the Microsoft HoloLens, it's the limited field of vision, and according to person in charge of the AR viewer, it's not about to get any better. 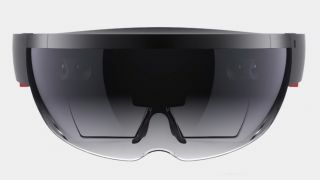 Kudo Tsunoda, Microsoft executive and head of HoloLens, appeared with Xbox's Phil Spencer at Giant Bomb Live during E3 2015 and responded to some of the issues with the HoloLens' limited field of vision. "I think you're never going to get to full peripheral field of view, but certainly the hardware we have now, you know, the field of view isn't exactly final," Tsunoda said. "But I wouldn't say it's going to be hugely noticeably different either." When we went hands on with HoloLens in April, we found the lack of peripheral viewing to be pretty bothersome. Essentially, the HoloLens feels more like viewing the world through a portable monitor, and not an immersive holographic experience. The edges of the HoloLens frame were visible and somewhat distracting as well. Suffice to say, the AR technology of Microsoft HoloLens is an amazing advancement, but would be vastly improved by an expanded field of vision. It's probably not a make-or-break decision for Microsoft to not attack these field of view issues, but it might come back to bite it. It's hard to fully immerse yourself in the future when you can still see the factory-made frame in your periphery. But hey, at least Minecraft for HoloLens looks amazing, right?